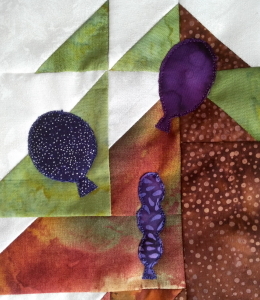 March Week Four » What's Under the Needle? 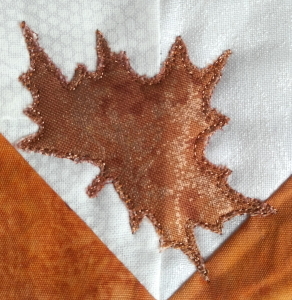 She used a metallic copper thread on some leaves which we thought might be troublesome, but by sewing slowly and loosening the top thread, it didn't even break once! Hopefully, Emma will be able to finish off next week and we will do another update for you. I pondered about my sky section for some time but really did feel it needed further stitching so added to what I already had. 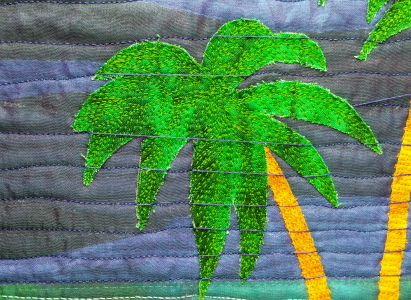 I kept the lines quite close together stopping and starting at the palm trees, locking off the stitches then dragging the threads over and continuing on. 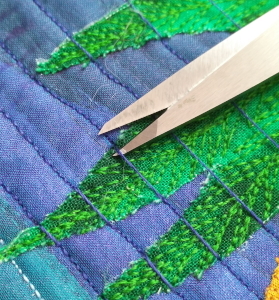 Once I finished, I went back with sharp scissors and clipped away the threads. 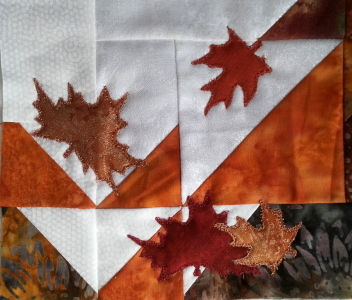 At this point, it was time to review what else I needed to include in my quilt. 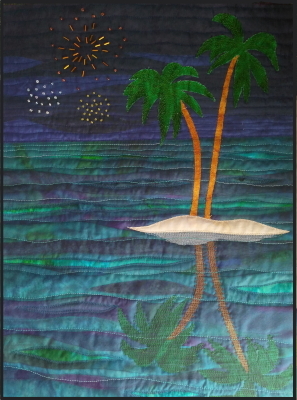 I've used curved piecing and layering in the construction and the night sky, island, ocean, and reflection can be easily identified in the piece. 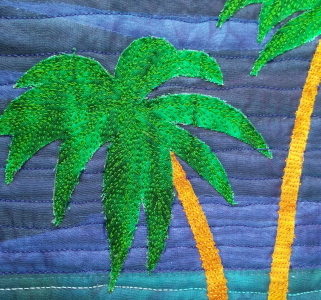 Blue and turquoise fabrics and threads were used in the water and sky, and emerald with ecru in the palm trees and sand. So that only leaves me with amber and some form of celebration which should be easy with fireworks. Then I tipped out a few beads to get an idea of how the fireworks would look and quickly decided I preferred to group the same beads together in like colors. But do I want four groups or just three? I always prefer an odd number so settled for three. 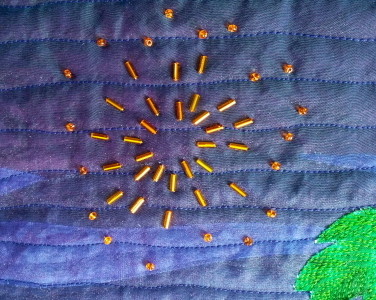 I started stitching the main group on - by hand. 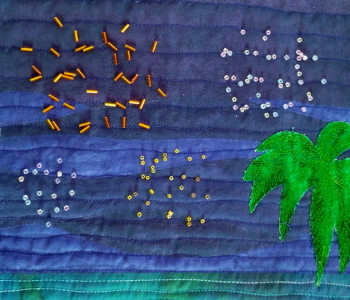 and then I made the other two groups smaller to make them appear more distant. 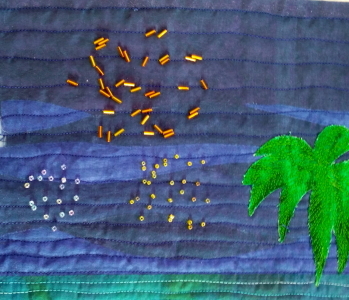 Here's how my piece looks with all the beads stitched on. 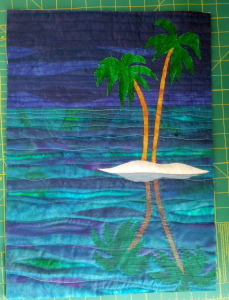 Check back next week to see how both pieces are finished up and if you joined in, please send me a photo so I can show our readers.